Help us Save More Animals! Your gift means so much! It means dogs like Harley can get his insulin, Moxie can find her new loving home, motherless kittens like Benita can be bottle fed. We need you to make it all possible! 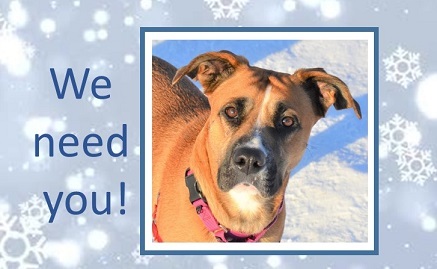 The gift you make today will ensure we can go the extra mile for the animals who need us! Please give as generously as you can. Thank you so much! Yes, my gift honors someone. Yes, my gift is in memory of someone. Please enter name in box above. Add a name, address and brief message here if you'd like us to share news of your gift with someone.